It was 35 degrees on the day I started at the Treasury. Greece was in crisis and the Chancellor’s Summer Budget was 7 days away. The atmosphere was intense. I went there to draft the Budget news story and to advocate GDS design principles. My help was important for the digital team who were under pressure and understaffed, due to a couple of unexpected absences. But equally important was what I learned while I was there about the many challenges digital teams in departments face when it comes to publishing clear and simple content. The news story summarises the most important Budget announcements in plain English. It’s quick and easy to read. As a result, it gets much higher traffic than other Budget-related content. 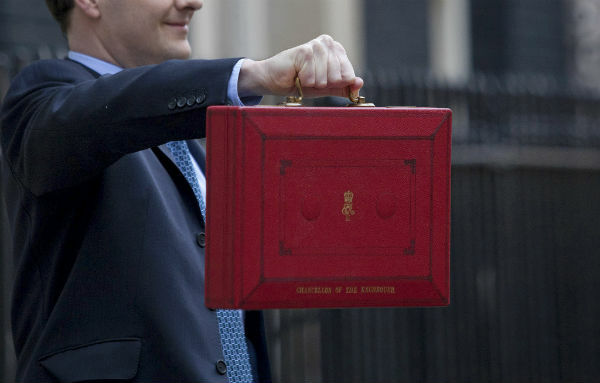 This year, on the day of the Budget, the news story saw 160,000 page views compared with 67,000 for the Budget document. Still more telling is the time spent on page - an average of 5 minutes for the news story compared with 1 minutes 46 seconds for the Budget document. And the Summer Budget news story received over 80,000 more views than the March Budget story. Success! But it wasn’t easy. Policy advisers at the Treasury work up to the last minute to revise and perfect their Budget announcements until the Friday before, when the text goes to the Office for Budget Responsibility. This means the digital team has a very short window to write, polish and upload content. The result was long hours, working at the weekend and staying into the night to get everything ready to publish the moment the Chancellor sat down from his speech. The news story was seen and reviewed by lots of people before it was published, to check its accuracy. It was written by me, reviewed by the digital team, revised by the Budget policy team and tweaked by specific policy advisers, commented on by special advisers and signed off by senior management. The content has to be accurate and it has to echo the Chancellor’s speech and the Budget document - but it’s very hard to keep a piece of writing tight and clear with so much input. It’s daunting to sit in a room with senior Treasury management, going word by word through content you’ve written. Their decision is final, but I argued for plain English and we worked together to keep the news story accurate, but also easy to understand. I would recommend spending time in a department to any of my GDS colleagues. My time at the Treasury was exciting, exhausting, frustrating and daunting. It was also extremely valuable, both for the digital team there and for the opportunity it gave me to experience creating government content outside GDS. By being more aware of the problems they face, we can better support departmental digital teams to write clearer, simpler content. This is a very good article - well written, I feel I've learned something and it held my attention right to the end!